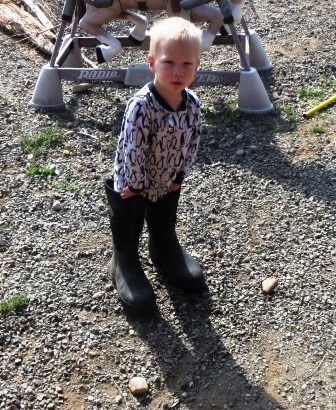 Also, I think those are my hipwaders. Er, boots. This entry was posted in The Inmates and tagged baby in boots, boots, chore clothes, chores, chores in pajamas. Bookmark the permalink.